What makes people stop scrolling and start watching video on Twitter? 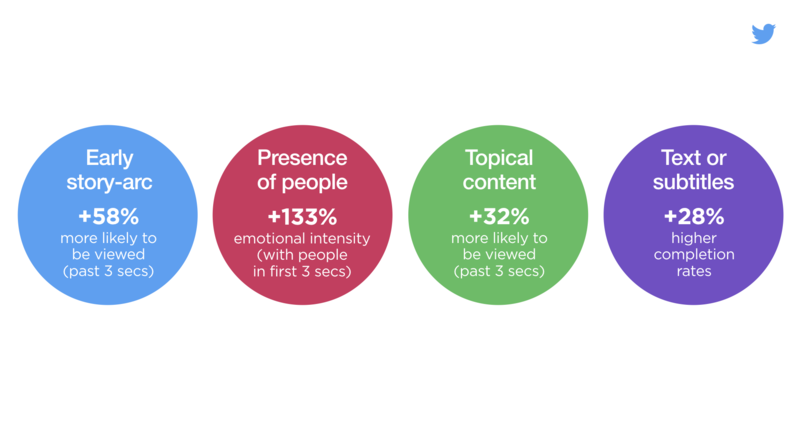 New research reveals what it is that works best in a news-feed environment and how effective brand video can be. We partnered with Omnicom Media Group (OMG), testing 17 of its brands over seven verticals, and used neuroscience to measure brain activity as select Twitter users browsed their timelines. The strong results here show that people on Twitter personally identify with what they see, take in details at speed and can process it effectively. Video is effective within the timeline. Autoplay viewing within the timeline generated slightly higher memory responses vs. videos watched full-screen. This viewing experience is impactful for brands who also benefit from branding and Tweet copy being visible. The Twitter video study highlighted the power of a personally relevant medium like Twitter as a means of driving strong engagement with video content. Less is more … memorable. Shorter videos of 15 seconds or less are more likely than videos of 30 seconds to drive memory encoding. 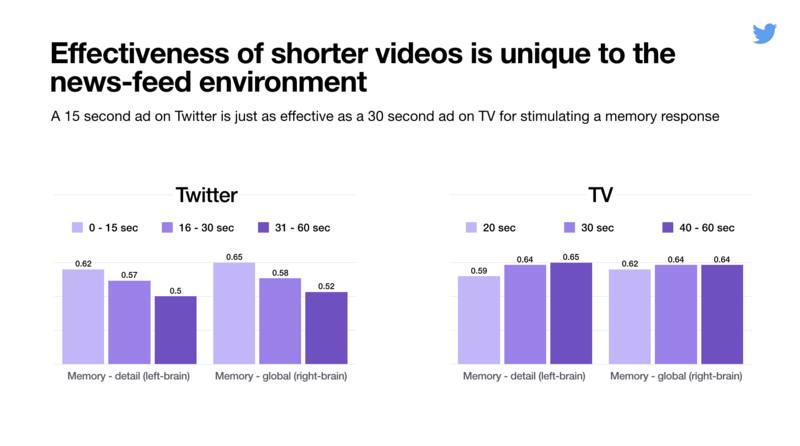 This is specific to Twitter as TV sees the opposite trend with 30 seconds being most effective vs. shorter formats. The nature of scrolling behaviours means less time is needed on Twitter to capture attention and make an impact. Sound off works. The first three seconds of video doesn’t need audio to capture attention and drive response - personal relevance and memory encoding were at the same level whether sound was on or off. But when someone watches the whole video, sound turns up all the key metrics – and dialogue has more of an impact than music. Mindset and response differs across the day. In the morning, Twitter is most likely to elicit a feeling of personal relevance and generate detail-oriented memory encoding. Later in the day a more emotional / bigger picture memory response is seen. This means there is a great opportunity for brands to align content with these different mindsets. For example brands should think about sharing tips and useful information during the morning. An early story arc means the video is 58% more likely to be viewed past 3 seconds (vs. all other videos tested). It also elicits higher brain response across all metrics for the duration of the ad. Topical content is 32% more likely to be viewed past 3 seconds and leads to 11% higher completion rates (vs. all other videos tested). Aligning to something culturally relevant or time-specific triggers the brain to respond since there’s a level of familiarity. The study included 17 OMG brand videos (and 3 others outside of OMG) — spanning seven verticals. In all, 130 hours of Twitter usage was recorded and two billion data points.